It isn’t uncommon for our customer to purchase more than one product from us and having them all fitted at the same time. 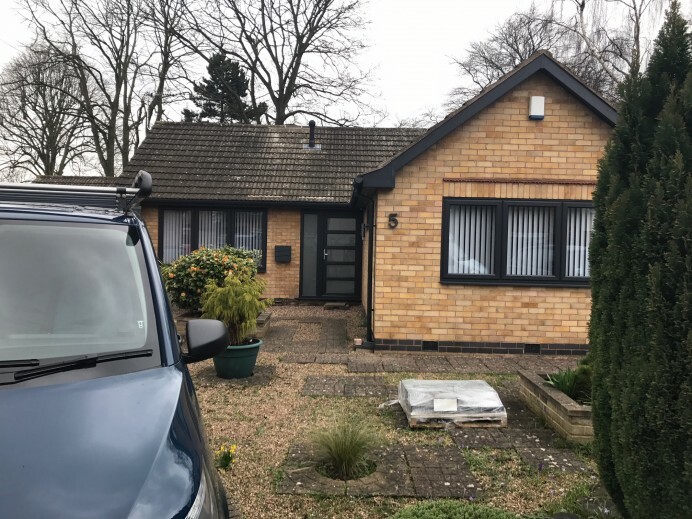 This was the case for this customer who was wanting to have some new windows fitting across the whole of their property. 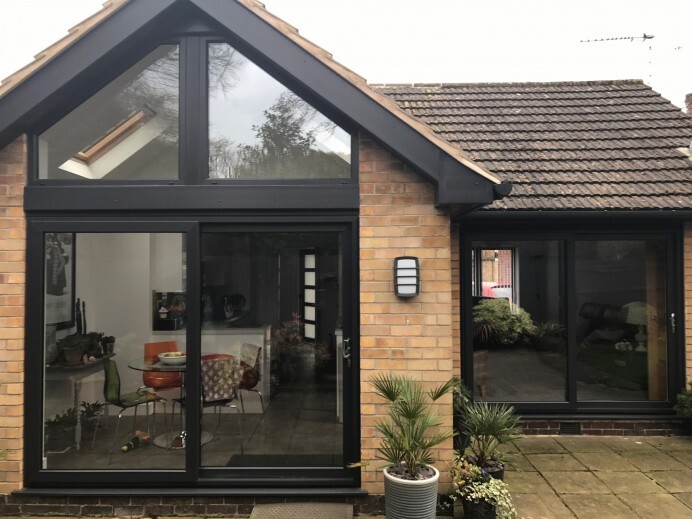 While visiting our showroom though, they were intrigued by a set of Real Aluminium sliding doors that we had installed at our showroom and asked a member of our team if they could have an appointment arranged so that we could see if it would be possible to fit one at the customers property. 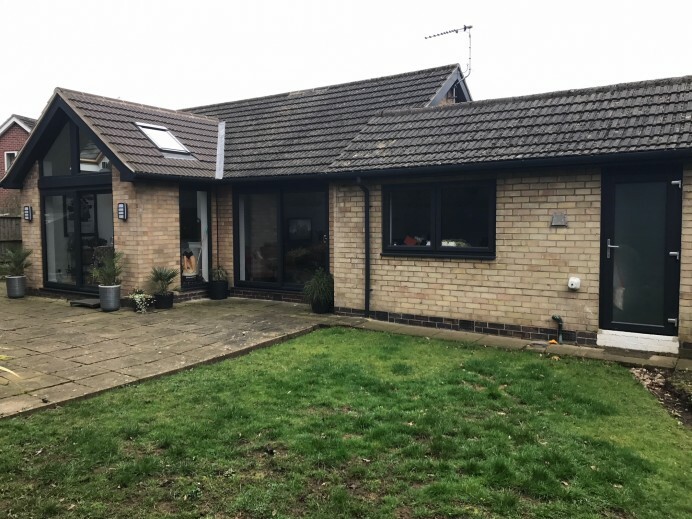 When a member of our sales team visited the property, they discovered that the customer could actually have a sliding door fitted in one of two positions, with one area being exiting from the gable at the rear of the property and the other would exit the customers living room. In the end the customer opted to have all the windows in their house replaced with Rehau windows finished in Anthracite Grey and also have two sets of Real Aluminium sliding doors installed with one leading to the back garden from the property’s gable and the other leading from the customers living room into their back garden. 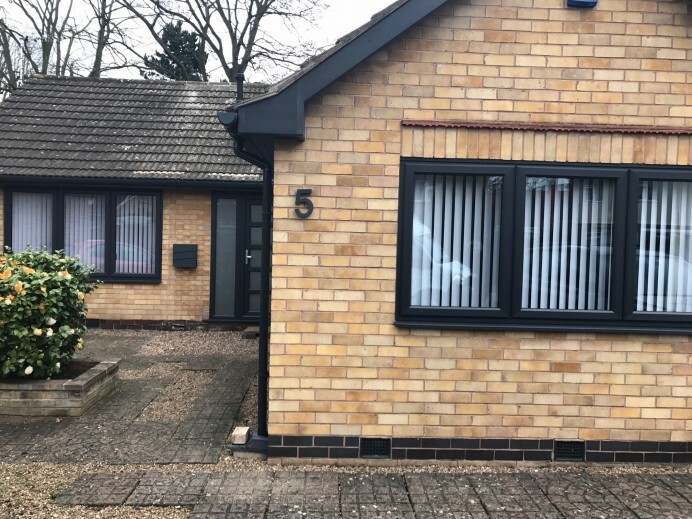 As you can see from the images, this is a fantastic property with all of the options installed now providing a unique look.